Sybil A. McPherson, Esq., is currently an Assistant Director of State Legislation for District Council 37, the largest public employee union in the City of New York. Although new to the work of the union, she comes from a union family and brings various technical legal skills to the position including regulatory analysis and bill drafting. Previously, she was a staff attorney at the NYS Defenders Association Public Defense Backup Center and a public defender at the Neighborhood Defender Services of Harlem. She is a graduate of CUNY Law School at Queens College (JD, 1991) and Fordham University (BA, 1986). 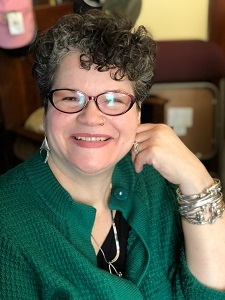 She is also a board member of the Capital District Black and Hispanic Bar Association and the Social Justice Center of Albany, a community space for the development of local social and political activism. She lives in Albany with her 22 year old son, Sayeed, who attends UAlbany.